Look at these Christmas Cupcakes that are filled with festive cheer. We have the big man himself Santa, Rudolph, a very Cheeky Elf, a Polar Bear, Snowman and of course some Christmas Pud. Delicious items and great fun to make! 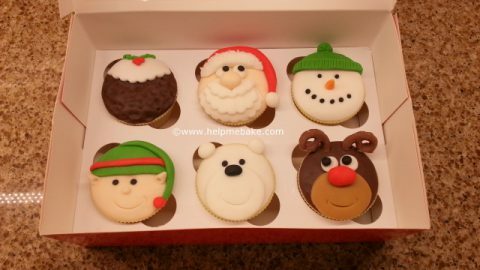 These are the wonderful Christmas Cupcake designs we will me making on the Christmas Cupcake Workshop this year. Everything is provided on the course so all you have to do is show up. I provide light refreshments and you get to take home a box of 6 cupcakes that you can devour at the end of the evening! Should you have a question/query regarding this workshop or wish to book direct then please call me. Otherwise please read T&C’s then book online.